New England is filled with gems: quaint towns, main streets and landmarks that are the stuff of Norman Rockwell paintings. One such gem, Pickity Place, is located in the tiny town of Mason, New Hampshire, nestled in the southwestern corner of the state that borders north central Massachusetts. 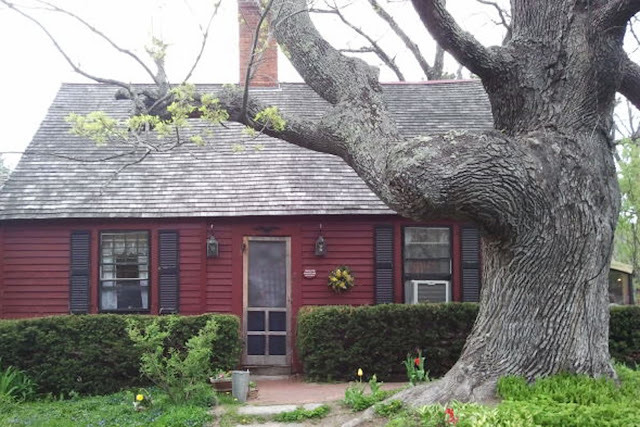 Pickity Place is a 225 year old cottage, turned destination restaurant, that served as the inspiration for illustrator, Elizabeth Orton Jones, who used the cottage as a model for her work on Little Red Riding Hood (Little Golden Books, 1948). 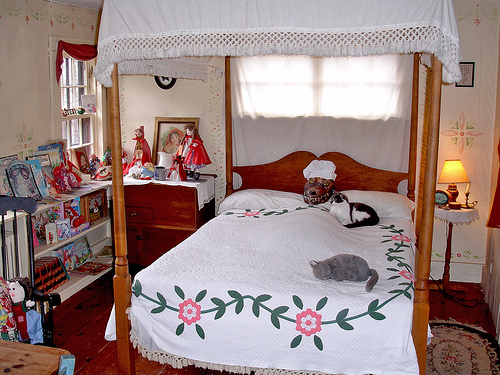 Today, visitors can peek into Grandmother's room, complete with the wolf, in Grandma's clothing, peering over the blanket's edge. Dining at Pickity Place is an event. The five-course gourmet luncheon is offered in three seatings. The seasonal menu changes monthly and offers a vegetarian option. The herbs used by the chefs are grown on-site in the gardens, through which visitors can stroll. And there is a gift shop, where foodies can peruse the herbs, seasonings and home stuffs with which they simply cannot part. For the crafty types (and those who are fairly local) Pickity Place offers crafting workshops such as Fairy House DIY and seasonal swag and wreath making. If you're lucky enough that your travels take you to New England, it's worth the trip through the woods to Pickity Place. Step back in time, bask in the simplicity of the natural world and treat yourself to a dining experience you'll not soon forget. 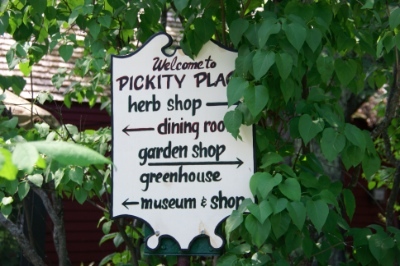 Pickity Place is a New England gem, for sure. How amazing! I really think I was supposed to have been born in NE because I love places like this. Makes me want to take a trip there now! Hi Leeann! Thanks so much for stopping by. New England is so beautiful, in all seasons. This winter has been long, but now with Spring on its way, Pickety Place will be at its lovliest. If you haven't been, I hope you get the chance someday soon. Thanks again for visiting!